The day may have been dull, but the spring flowers are making a brave show in our hilltop garden. 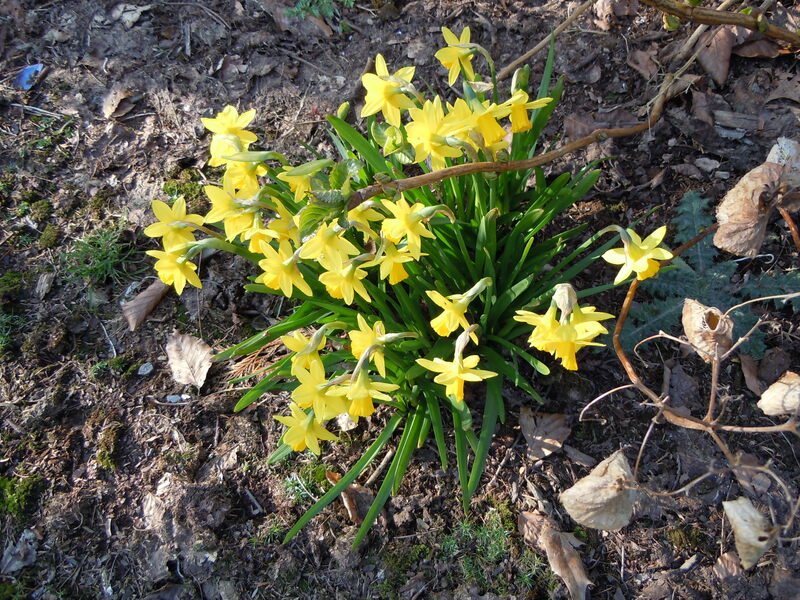 The Tom Thumb daffodils are just bursting with their own particular sunshine, while the crocuses gleam along the banks under the trees and shrubs, vying with the snowdrops which are still bursting into flower, lighting up the darkest places. What a way to greet St David’s Day here in Wales. I used to have an old bronze plaque in a garden of a house that has since been demolished; the words of Christina Rossetti were engraved into the metal: ‘The kiss of the sun for pardon. The song of the birds for mirth. 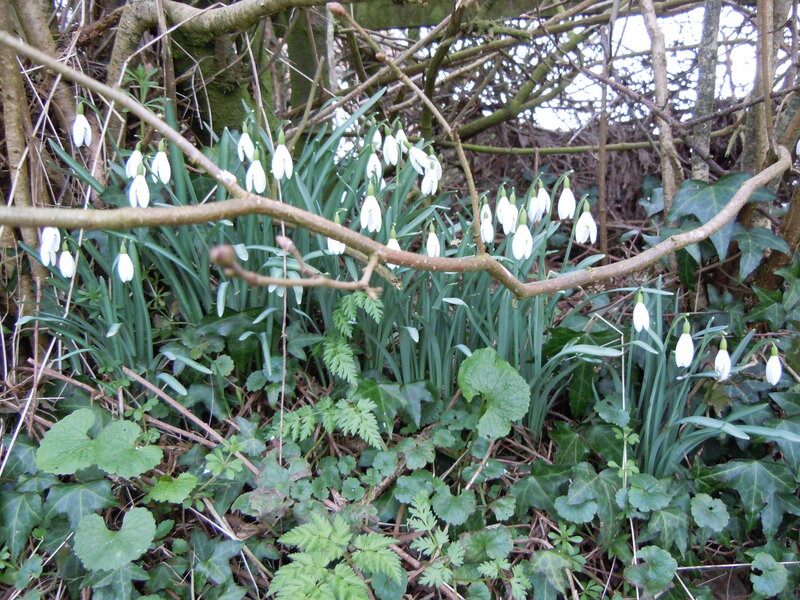 You are nearer God‘s heart in a garden, Than anywhere else on earth.’ Whatever one’s beliefs, there is something special about being in a garden on a cold day in early spring, and just looking, watching and listening. There is a feeling of wonder and about having a bird trust you enough to flit on to a branch above your head and peck at the food you’ve put out in the hope of just such a moment. 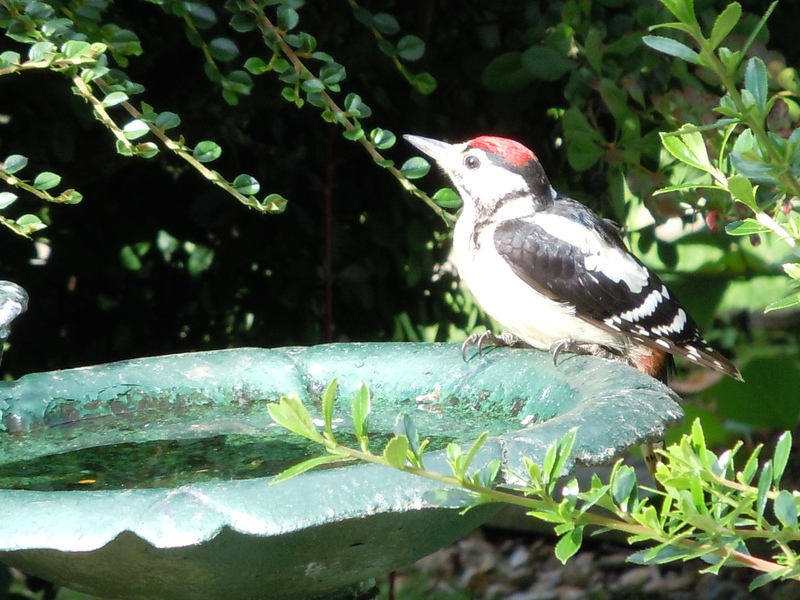 The Greater Spotted Woodpeckers have successfully reared their broods for several years in the garden; one of several different species that have decided Nonam is OK.
Love the pictures the Kingfisher no longer visits my garden . Maybe he will return this summer..
You are lucky that little fellow came at all. Hope he comes back. Such a joyous surge of colour and energy.